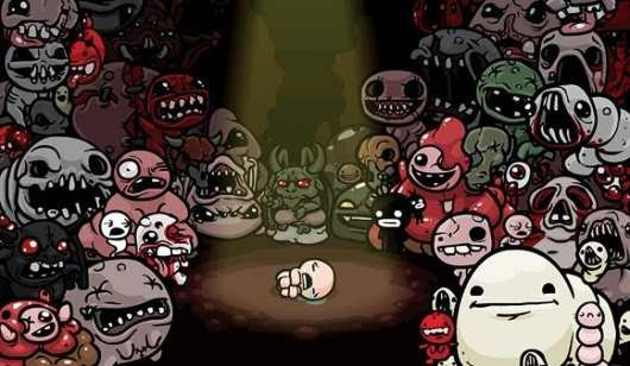 The Binding of Isaac: Rebirth is a much anticipated release on multiple levels for Nintendo gamers. Not only will this be the definitive release of a cult classic Indie game, but it also marks the first time the game will be appearing in any form on Nintendo platforms. After the initial release of the game was famously rejected due to its questionable themes and controversial content, it's nice to see that Nintendo has relaxed a bit on its restrictions nowadays. Now, it's been confirmed that North American Nintendo gamers will only have to wait a couple more weeks to finally see what all the hype is about. Nicalis - the company responsible for publishing the game - recently announced the good news via Twitter. However, it was a bit of a bittersweet announcement, as there's still no word on when or if Europe will be receiving this release. Hopefully, Nicalis will have more information to share on this after the North American launch. What do you think? Will you be picking this up when it launches? When do you think Europe will be included? Share your thoughts in the comments below. Ohh the happy clappers won't like this. Good thing that Isaac releases for Nintendo consoles in general are moving along, but as per usual we get the short end of the stick. Of every stick. Would buy on Wii U if it was in Europe. I'll probably grab it on the Wii U (I have the original on my laptop), but why only N3DS? Guess that 3DS hardware is really reaching it's limit, huh? So next year or something if ever for us here in Australia? I've played hundreds of hours already and I'm still buying this game on Wii U and 3DS. What did they say was cut from the New 3DS version? If the Wii U version going to look like the 3DS version in that Tweet, I'll just stick to the Steam version. If I had to be completely honest that screenshot looks terrible compared to the Steam version of Binding of Isaac Rebirth. Not even the PS Vita version looks that bad. Off-topic, but the forum moderation seems hilarious to me. The Isaac Rebirth thread from a year ago got bumped because of this definite announcement and someone came and locked it. Guess a new thread with the exact same title and purpose will have to be created for people to be able to discuss the game. Great thinking guyzz. @LinkSword Just make a new thread and put it in the E-Shop forums. Problem solved. @Chaoz You clearly didn't get what I meant whatsoever. It was an argument on logic and efficiency, not an ''Oh my god how am I going to discuss Isaac now'' scream for help. Obviously a new thread can be created, but it doesn't change that locking a pre-existing one that'd serve the same point, for no reason, is silly. And if it's in the wrong section due to Isaac being confirmed not for retail, it could always just be moved. Also, I'm not really keen on discussing it myself right now, but for the people who did, well, that's one avoidable inconvenience on the way. @LinkSword Except Yoshi's Wooly World. @fed0ra7 Yep, which I don't happen to care about myself. Sad fate. Can someone please tell me the appeal of this game? I have it on Steam and I've played about two hours, and I HATED it. It was so boring! You just move from nearly-identical room to nearly-identical room firing nonstop. No thought. No stimulation. Just PEW PEW. What am I missing that makes it so great? @JohnnyVanda it's nes era Zelda with a whacky gimmick. Without any exploration or items? I know there are upgrades, but it changes your attack/defense instead of giving you a new option. The gross-out style did nothing for me, either. Neither grossed out nor amused. It was just there. I can't imagine how people can play 100+ hours of it. @JohnnyVanda I was saying the same thing when I first started playing it. It's a game that get's better as you explore, like Zelda. You may just be having bad luck in the beginning to, and that's why you can't judge a game like Binding of Issac on your first 2 hours. Well, really a game should be fun almost immediately, but there's some wiggle room. If you have to play 5+ hours before it gets any fun, then it's just not a good game. I don't need this disgusting game on my EU Wii U/3DS. @manu0 Yeah the Wii U and 3DS definitely don't need new eshop games, especially the ones with high ratings and are on all the other game systems! @LilC I said I don't need it. Learn to read. @JohnnyVanda The most fun of this game comes from finding different items and discovering crazy combinations to kill enemies with. If you do not at least enjoy just killing enemies it's just not your game. Even the base game has stuff like Quad Shots or Giant Tears (or even both if you are very lucky). The longer you play, the more options you have available such as new characters who start with different items and stats which can change the way you play. Playing well can award you with great items from Devil or Angel Rooms which can significantly improve your run. Above all else however, there's RNG which determines almost everything in this game. You may get some crazy items in the first rooms or you may get non at all. It's just how it is. So let's see how buggy this will be, Nicalis has never been very good in releasing stable games. As always I'll wait for reviews and price. I'm not bother by the content but am curious though what all the fuss is about. I can certainly understand why the reliance of RNG can diminish the enjoyment of this title but it is always what makes it so replayable (for some). In the beginning there are barely any methods of manipulating RNG in your favor. Eventually you get the Dice items which allow you to re-roll items in various ways but you do need patience to get there (and actually pick them up in your run). The D6 is among the most popular among them as it allows to re-roll any item on a pedestal once every six rooms (can be reduced by items or pickups). It is unlocked by defeating a late game boss with Isaac which also permanently lets him start with said item but is also a random item for everybody else from that moment on. Getting there does take a while however. It is a game you spend a lot of time with after all. Definitely looking forward to this. I'll be downloading this on Wii U on the 23rd! @BinaryFragger Thanks for the heads up. Price sounds right then so now wait to see if the game holds up well. Its a good little rogulike, but hundreds of hours? This game is nowhere as good as Tales of Maj or Sword of the Stars: Pit. THOSE are worth hundreds of hours of playtime. According to Steam, I have 53 hours in Binding, and I can safely say I am done with the game. Over 100 hours in both Tales and Pit. Oh man... The way this site responded when it was stated that Nintendo wouldn't release this title, was disturbing to say the least. Now, that the title is finally getting released, everyone is claiming they will double dip for THIS game, but not any of Nintendo's titles... My assumption? This is the title Nintendo needs to move consoles! Get ready BOI fans, this is the Wii U's GOTY, woot! (Sarcasm off) people come here, whine about the graphics on Federation force, but clamour for this garbage.. I guess Since SOMEONE said it was a cool game, everyone thinks it is. Why no games where our children have turned on us, and we have to slaughter them wholesale? Not much different really. What's the price for the game going to be? @JohnnyVanda right? C'mon... People are already freaking out about Starfox Zero... But needing to play 5+ hours to "start enjoying" the game? Sounds silly. @Platypus101 A game that's an hour long and infinitely repayable (Super Mario Bros. 3, anyone?) will always be better than a 25+ hour game that takes 20 to get going. I bet Star Fox is going to be great, because it's designed to take advantage of the arcade style. In fact, it being shorter is WHY it'll probably be so repayable, like Star Fox 64/Lylat Wars was. @SplatFan That's your opinion. I got almost 300 hours on the original and at least 100 in the remake (can't check time on the Vita). For me it awesome and one of my favorite games. If this gets a EU release I will get for Wii U. @LinkSword Depending on the moderator a situation may be handled differently, the general rule is if a thread hasn't had a post in a year make a new one (unless it is an online gaming thread). If you have anymore enquires feel free to use the contact form. And just like that, the long wait for Wooly World no longer means as much to me. Great great game. I recommend this so much. It'll be interesting how much it sells though. I assume most people who are actually interested have played it already. If it comes to Europe I might just give him the money to reward him for still bringing it. ^^ Can't hurt to play it again. The Wii U and 3DS ports were announced on april fool's day with a prank about them being heavily censored. The truth is that they are not censored at all, so nothing is cut. Oh no, not Nicalis. The once who released Cave Story + years later in Europe and still haven't released 1001 Spikes. Oh boy...this gon' be good . Cave Story on Wii U would be great, but the Zelda-alike and Metroid-alike retro-flavour games I'm not getting the appeal of. I can just play one of several Metroid or Zelda games if I want to play a game that's like Metroid or Zelda. Looking great, I will probably pick-up the 3DS version first. Does it use the 3D of the 3DS? Congrats for those that were waiting on this game! I can't get over the artstyle personally. Nice. It's not a game I'm at all interested in playing, but having more games to choose from is a great thing. Plus, I hate the idea of Nintendo blocking games because it's different from their morals. @manu0 Lighten up M8! There's room in this world for us all. We'll keep it from sneak-thiefing it's way to ur box. They couldn't get Issac to run on the regular 3ds? Sounds like poor optimization. Downloading this as soon as I get home from vacation! How much is this game going to be on the Wii U & 3DS? That reminds me, does this game have cross-buy? I thought this would be N3DS only, might look into this game and get it on Wii U though. I think people here are starting to forget that one of the improvements of the new 3ds was unity support. Thats why they're not releasing it on the original 3ds. Since it's Nicalis and Tyrone Rodriguez, I don't think us Europeans will ever see this game on Nintendo platforms. Thanks Nicalis! And if hell freezes over and they actually bring this to Europe, then why not bring all the other games they've not brought. Where's Ikachan and 1001 Spikes for example? @Mr_Zurkon No it's not. This game is far more complex than it looks like. Dynamic elements such as lights, shadows, water, gore, pickups and even lasers (although that is a rare case). Every enemy has to be calculated individually, each and every tear they and you fire need to be calculated individually as long as they are on the screen. Some of the bosses have absurd bullet hell-like attacks and that's not even accounting your own you can have at that point. They need to make sure every one of the 343 items and their combinations work without breaking the game and even then some combos massively slow down even the PS4 in extreme cases (but all legit). No way hardware that's weaker than the Vita (which runs smoothly but doesn't need much to slow down) could handle this game well. Nobody wants anything cut and if they would have to bring it to normal 3DS they'd have no choice but to do so. Cutting dynamic environmental elements would be one way, and one they surely had considered, but that'd be only a temporary solution due to late level shenanigans where the game becomes really fun. "We'll release as soon as we receive final approval from Nintendo of EU"
@Espurr if they made the choice not to have 3D on the 3DS it's not just the wrong choice, it's a stupid stupid choice fitting to these idiots. Not buying the game then. Might consider the Wii U version then in the long future but was really looking forward to the 3DS version. Shame. I just don't get it why some companies have problems releasing their games worldwide, in 2015, the digital age. Binding of Isaac: Rebirth has also launched on Xbox One (region-free console) and it's also not available in European store, so it's not only Nintendo platforms. I'm really disapointed as I was hoping to play this on my New 3DS.